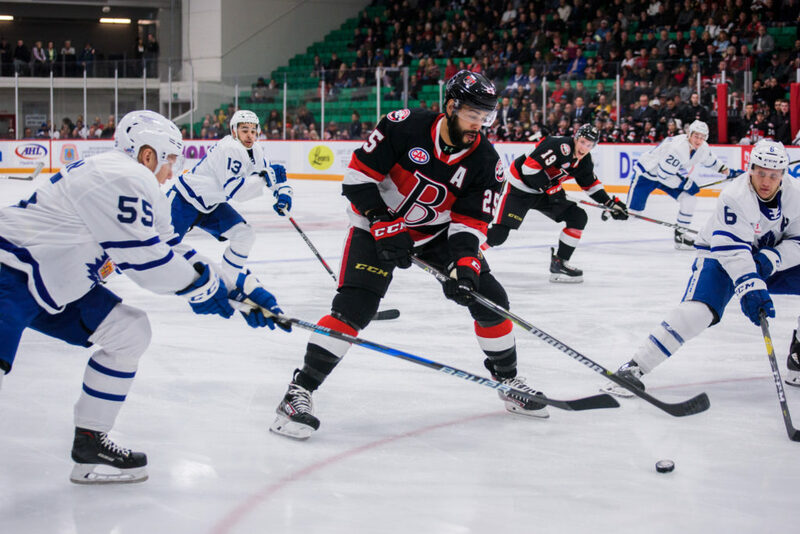 The Belleville Senators suffered a crucial loss in its quest for a North Division playoff spot after a 3-2 defeat to the Toronto Marlies. 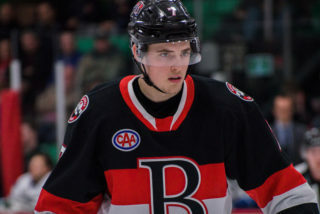 Joseph LaBate and Jack Rodewald scored for Belleville while Marcus Hogberg stopped 26 shots. 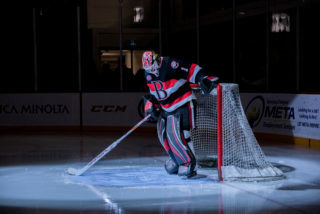 Toronto’s Kasimir Kaskisuo made 25 saves while Adam Brooks, Mason Marchment and Michael Carcone had goals. Toronto found an equalizer with 2:17 left in the frame as Kristians Rubins’ shot from just inside the blue line was tipped by Brooks for his 21st of the campaign. 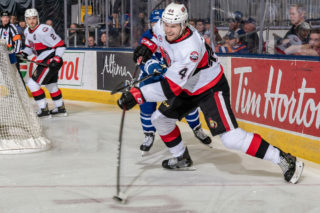 But the Marlies would strike twice in a 1:18 stretch that started with Marchment as he squeezed through Christian Wolanin and Cody Goloubef to whack a dump in by Rasmus Sandin past Hogberg at 7:22. 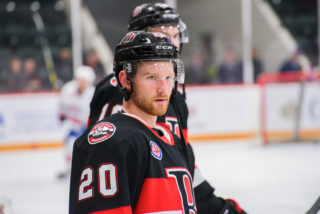 The visitors had the lead through Carcone as he buried a loose puck in front of the net and after a quick review for goaltender interference, his 20th of the year made it 3-2. 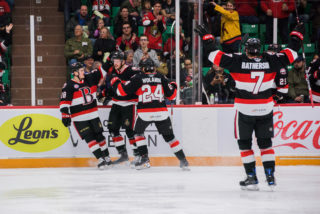 Belleville is back in action Saturday when they play their final road game of the season in Toronto. 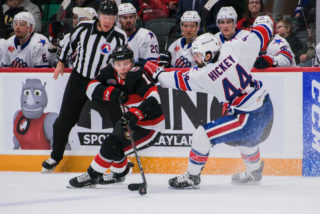 The Sens conclude their regular season Sunday at home against Rochester and tickets are available by clicking here.